Last year we started inviting friends and acquaintances to a holiday Christmas party and oh my, what a blast. In fact, it was so much fun, we are doing it again this year! 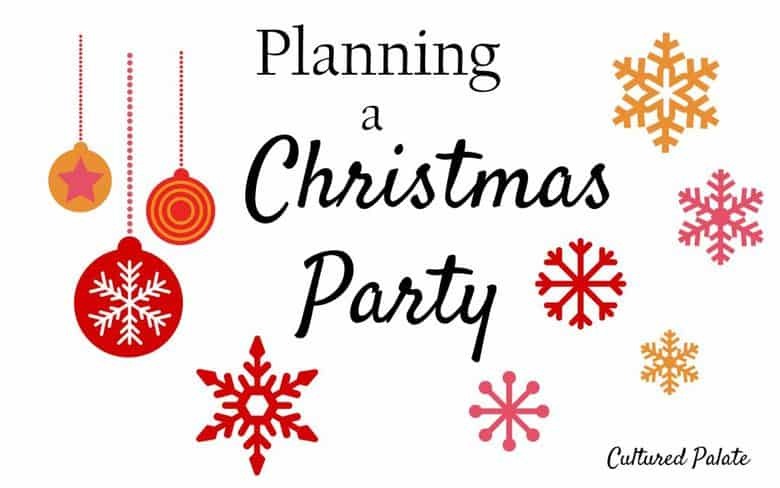 Have you ever had a Christmas party? If not, I want to encourage you to have one. And, NO, it is not too late to plan one. As a matter of fact, I have a free printable checklist to help you get started and get it planned. Let’s talk about the types of parties you can have and I’ll tell you about our party. Then, you can decide what type of party you want to have. 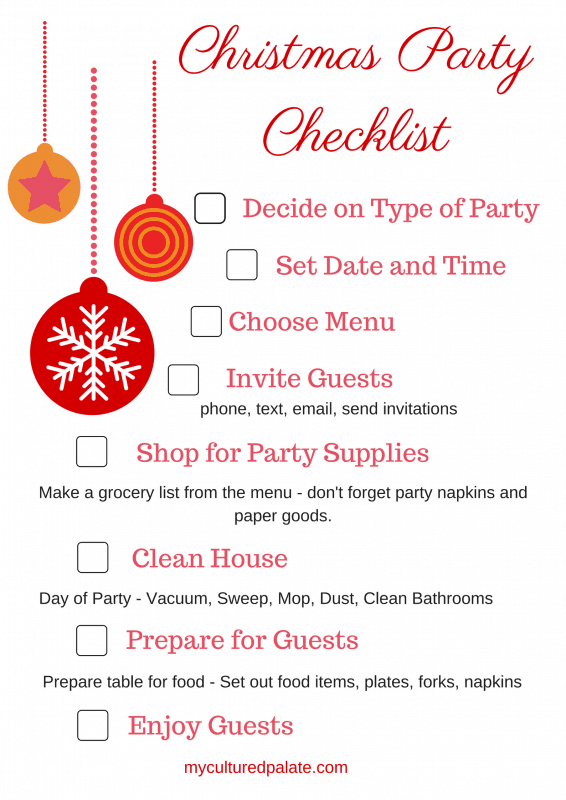 Here is the free printable checklist to give you an idea of the order of things to do. I love to make lists and check off what I do as I do it. So, in this checkbox, I made sure to include cute little boxes that you can use to check off each item! 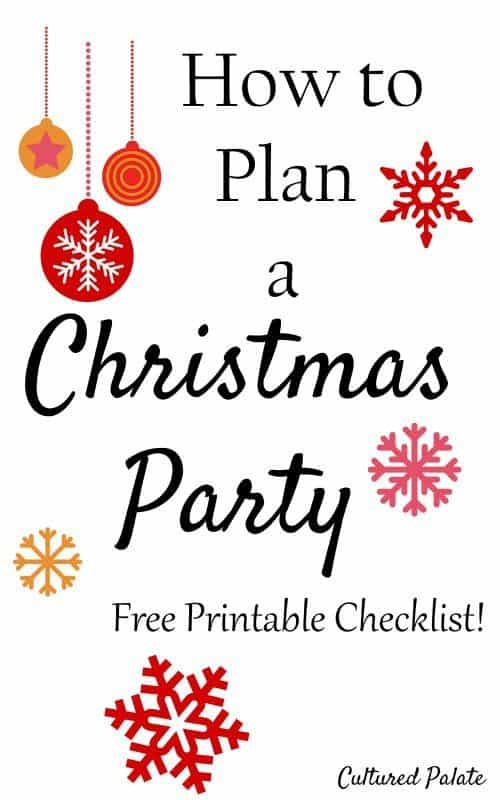 You can print the Christmas Party Checklist by clicking on the image or the download link at the bottom of the post. Both will take you to a pdf that you can print. There are several types of parties that you can have and it is completely up to you which to choose. 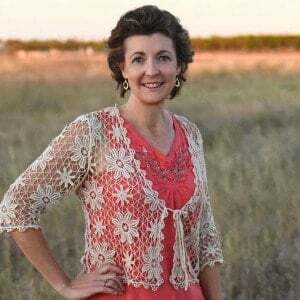 Here are 5 different types but don’t be limited by my list – the sky is the limit! Cookie Swap – Everyone invited brings their favorite holiday cookie or cookies – enough for themselves and others to enjoy. Potluck with finger foods – Everyone is asked to bring a delicious finger food appetizer for the party. Dessert Evening – Everyone invited brings their favorite holiday dessert to enjoy and share. I choose to bake everything for the party ourselves. Actually, my oldest daughter at home does most of the baking – OK, she does all of it! If you are looking for some great dessert ideas, you need my Top 10 Holiday Desserts recipe book! It is yours FREE for joining my newsletter. You can join by filling in the form at the top right of this page or the bottom of this post. Many recipes in the Top 10 Holiday Desserts book are part of our Christmas Party menu. Cookies like Cocoons and Sugar Cookies along with Lemon Supreme Teacakes are always a hit. Salmon Ball – mix the night before and serve on a platter with a variety of crackers. Chips and Dip – I buy packets of Fiesta Ranch dip mix, mixed it with sour cream and voila! A variety of cheeses with crackers. I love Asiago, Swiss and Smoked Gouda. Sandwich fixings – Bread, an assortment of meats and cheeses on a tray along with mayonnaise, ketchup and mustard so folks can make their own. Spice Tea – For a 5 gallon pot, fill the pot 3/4 full of water. I use 2 1/2 cups loose tea in a cheesecloth bag to steep. Once steeped, add 3 lemons, 5 oranges (all sliced), about 3 cups sugar, a palm-full of cloves, 10 cinnamon sticks. These amounts can be adjusted to taste – you can’t make a good pot of spice tea without tasting it and adjusting the flavors! After the Christmas Party – Keep on Partying! Last year, we had people who stayed until 11 and 12 midnight. It was so much fun so, I hope the same will be true this year! Once everyone left, we cleaned up, had another cup of coffee/spiced tea and relived the evening. Then, to finish off the festivities, we watched Back to Christmas, lighthearted Christmas movie. To be honest, I think by that point I was falling asleep but you get the picture. It was a fun filled evening of giving to others and sharing a wonderful time making memories. Aloha Big Island of Hawaii!